The Best Hand Creams for Men | Valet. We tested dozens of lotions to find the ones that work best for a guy. Winter can be hell on your hands. Icy temps, precipitation and heated indoor air (combined with frequent hand washing) can result in dry, cracked mitts. Hands also have the fewest and smallest oil glands in the body, so they tend to get drier faster than any other part of the body. But you don't have to suffer. You simply need the right lotion. These conditioning and intensely hydrating hand treatments avoid the typical floral scents and greasiness found in your girl's hand cream or cheaper drugstore lotions. Stocked in the locker rooms of nearly a dozen NFL teams, this repairing cream works wonders for the players' weather-ravaged hands and cuticles. And it'll work for you too with its natural formula that relies heavily on the healing powers of macadamia nut oil, glycerin, vitamins A and E along with the antiseptic benefits of eucalyptus oil. An added benefit is that it goes on nice and light, absorbing into the skin without any leftover residue. This thick cream is packed with nutrients and calming ingredients like chamomile and aloe (so it's great for soothing cracked skin). It takes about 45 seconds or so to absorb, but once it does, you're free to put on your clothes or handle your phone without fear of slipping and sliding. And best of all, a little goes a long way. More of a tonic than a cream, the liquid lotion combines the restorative and healing properties of such potent ingredients as camphor and witch hazel with natural elements like rosemary oil. Make no mistake, this makes for a medicinal smelling product, but the aroma dissipates as quickly as the lotion dries into the skin—which is almost instantly. With the longest-lasting effects of all the lotions we tried, this heavy-duty salve contains amino acids along with a blend of botanical oils and natural wax derived from olive oil that help restore moisture to dried-out skin. According to the company, it allows skin "to draw and absorb water from the air," resulting in glove-like protection. That means a slippery grip, but the stuff heals chapped hands fast. $6.95 at Duluth Trading Co. The chosen cream of tradesmen, factory workers and medical workers, this rich cream is surprisingly non-greasy. Unscented and quick-drying it contains allantoin, an ingredient that stimulates healthy tissue formation and speeds up healing—making it great at calming redness and irritation. It essentially protects dry, chapped hands (and feet, knees and elbows) until natural oils return. A longtime favorite of our editors, this oatmeal-based formula was originally made for babies suffering from eczema. It's enriched with ceramides, essential lipids naturally found within the skin, which is perhaps why this fragrance-free lotion works so well at hydrating skin and calming irritation. Plus it's extremely quick absorbing and won't leave you greasy. 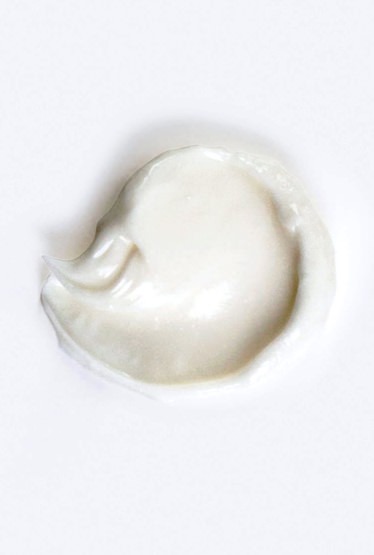 To properly apply hand cream, apply a nickel-sized amount to the back of your hands first. Then work the cream into your fingers wrapping each one into the fist of the opposite hand. Finish by rubbing your palms together. Expert advice on how to avoid the season's dreaded itchy, flaky and chapped skin. Put the body wash down. We've tested the best bars for tough guys and gentleman alike.